Indie games become more and more popular these days, as they should. 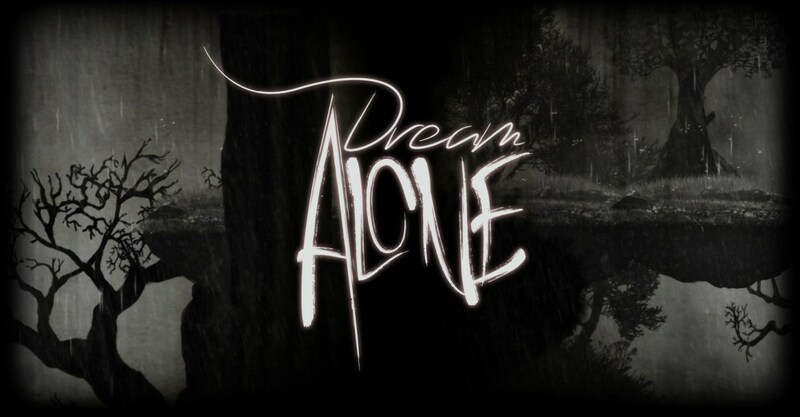 Sadly, the new indie title Dream Alone didn’t come near to the expectation we had. Similar titles like Limbo and Inside, which were released earlier this year, set the bar very high for this genre, but not impossibly high. Therefor we can’t hide our disappointment. 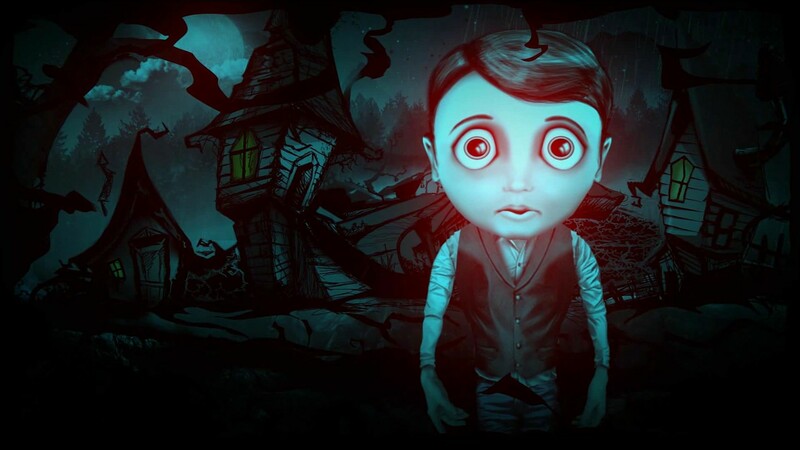 Dream Alone lets you start as a young boy, in a mysterious dark and eerie world. At a given moment, all of his family, neighbours and eventually everyone around him; falls into a deep coma. The only way to help them is to pay a visit to Lady Death. 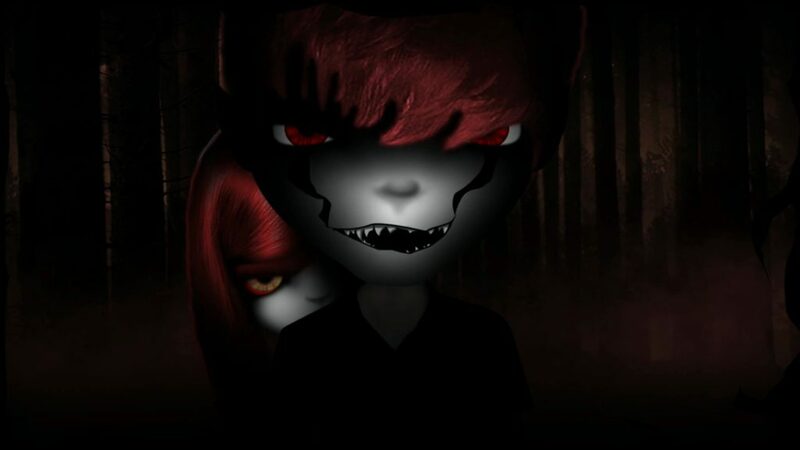 This is where your journey begins, be prepared for a road full of danger and creepy monsters. We hope you aren’t afraid of spiders or you’ll be in for a hell of a ride. In-between game levels little by little the story of the young is shown. The cutscenes are fully drawn and are actually very beautiful. It gives you something to look out for after every horrendous level. For this kind of drawing style, the background and NPCs are beautifully drawn. Sadly, the scenery is repetitive and way too dark because of the grainy filter on top of it. Unless you change realms it is really difficult to notice if there are any traps laying on the ground. The blood splatters that fill your screen when you die are kind of funny. Which makes dying a little less gruesome. The main menu and cutscenes have creepy background music, which throws you directly into the sinister ambience of this title. But when you are actually playing there is no music to be found, only the sound of the raindrops on the deadly road, the gory splashes of blood when you die or the haunting voices of the dead who are floating around you in the other realm. This is one of the best aspects of the game, because of the goose bumps the sounds and silence gives you when you are playing. Dream Alone is a tough as nails 2D platformer that directs itself towards gamers that love an added difficulty in the game. 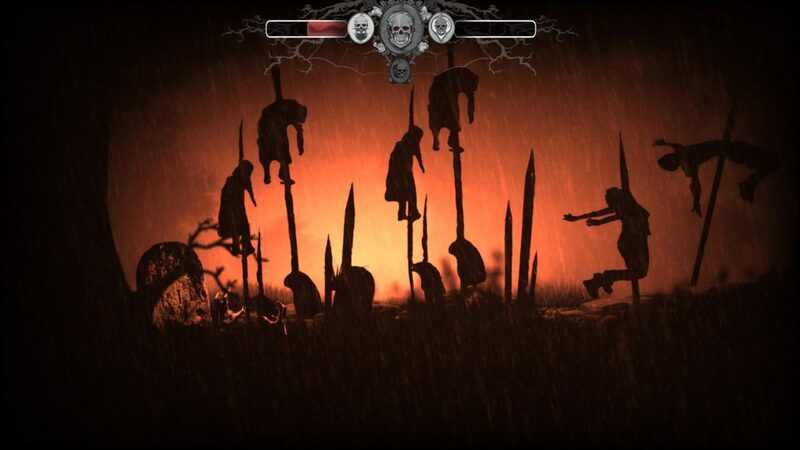 Most of the time you’ll be dodging traps and enemies, as you alternate between two different realities in the game. The latter is a fun added quirk to bypass traps and enemies or to simply be able to progress through the different levels of the game. You’ll notice right off the bat that your character is fairly powerless, as he can only jump and switch between different realities. When enemies hit you, you are instantly toast, and the same can be said for traps, which are also a case of insta-kill. For the most part, you can see a lot of things coming, but on a fairly frequent base, you won’t be able to see what is below you, or what is around a corner, causing you to die. This isn’t truly a case of difficulty, but more about learning from what just happened to you, forcing you to learn certain segments by heart. Add the somewhat grainy filter of the graphics, and you’ll be straining your eyes a lot to see what the hell is actually going on. Overall this might actually be the biggest problem with the game, as it’s not a case of hard platforming, but simply not knowing what is thrown at you. Switching between different realities is a fun quirk the game offers you, but it’s used far too little to actually become interesting. 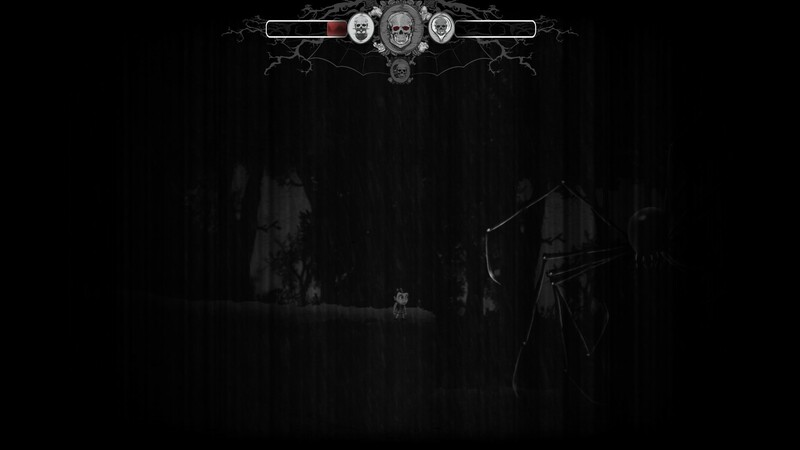 You’ll have to fill a blood meter, which allows you to switch between realities, which then in turn allows you to bypass dead ends, traps, monsters or other dangerous hazards. Overall this changes the pace of the game, but it would have been a bit more fun if you could alternate between different realities freely, instead of having to work with a bar that has to be filled. While the latter isn’t a big issue, it’s simply unnecessary, as it simply puts a time restraint on the platforming you have to do in said reality. We understand that this adds to the difficulty of the game, but it doesn’t necessarily make the game more fun. Dream Alone certain has its merits, but for the most part, it feels like an uninspired clone, which tries to add a simply quirk to hide its clear copy paste gameplay. While some gamers will certainly have some fun playing this title, you’ll be frustrated by the unclear graphics, the unrealistic spikes in difficulties due to lack of vision and the somewhat bland gameplay. If you’re still on the fence for this game, it might be best to wait for a price drop, as it’s only worth a few bucks.